6Sigma.com offers Lean Six Sigma Certification and Training courses in: Six Sigma White Belt, Six Sigma Yellow Belt, Six Sigma Green Belt, Six Sigma Black Belt and Six Sigma Master Black Belt. Global Six Sigma also offers Certification and Training courses in Mississauga, Ontario, Canada: Lean Six Sigma, Design for Six Sigma, Green Process Management and Minitab. 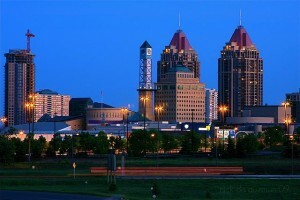 Mississauga has one of the largest labor force markets in the entire Canadian region, as well as the Greater Toronto Area. Employees are recruited from a massive candidate base of almost 4.1 million people and the city has managed to become one of the most important employment growth centers within the GTA, largely due to the diversity of the commercial and industrial foundation located in the city. There are more than almost 21,000 businesses present and functioning in this booming city of Ontario, and these businesses recruit and employ almost 423,000 people. Along with this, the city also enjoys a massive labor force of about 411,000+ people, and the numbers continue to grow. The quality control philosophy that was once merely restricted to the manufacturing industry has now expanded to encompass all organizations in pretty much every industry, even non-profits. The Lean Six Sigma Training program is consistently developing and evolving in terms of tools, skills and methodologies, and an increasing number of corporations use the program, including the U.S. Military. What this certification can effectively help one achieve is an annual salary of at least $60,000, which is almost 20% higher than the average in Canada. Let us take a closer look at what a Lean 6 Sigma Program intends to do in acquiring skills that can get you the job of your dreams. The very first step here is to comprehensively read and try to understand all the Lean Six Sigma Training materials that have been provided to you. Sometimes, this material can include theories in written format, while at other times, you may be required to view course videos. Both ways ensure that an individual can effectively understand the training material and will possess the knowledge and expertise necessary for the program by the time they’re done with material, and be capable of implementing the things that they have learned. Like with any certification program, all individuals must pass an exam in order to be Lean Six Sigma certified. This exam is usually not very hard to pass and tests the ability of the individual to apply the training concepts in any given situation. Depending on the belt you apply for and the company, candidates may be required to handle and complete a practical or theoretical project before they can be certified. Many Lean Six Sigma students are often required to complete major projects before they pass through. Apart from completing a given Lean Six Sigma project, another important thing is having your project verified. This will help in ensuring that the applicants have improved their efficiency and quality of work and is competent enough to do the same in varying situations. 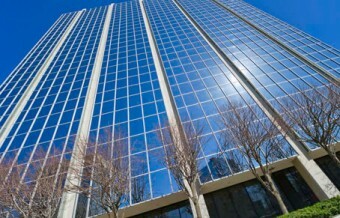 Located on the seventh floor, with views over the city, the office space in Mississauga Executive Centre is in Tower 2 of a landmark cluster of four 16-story office buildings at the centre of Mississauga's commercial district. The office, in the western part of the Greater Toronto Area, is on Hurontario Street (Hwy. 10) just opposite Square One, Ontario's largest shopping mall, with its selection of restaurants and facilities. Secure underground parking is available for tenants.